Ms. Lara White has been cordially appointed to the Occupational Therapy board of the prestigious American Health Council. Based in Richmond, Virginia, Ms. White is a Registered and Licensed Occupational Therapist for the renowned Virginia Commonwealth University (VCU) Health System. 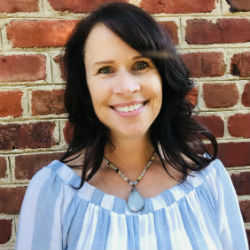 She has worked in the healthcare industry for over 22 years and is dedicated to her role as an Occupational Therapist and Certified Hand Therapist (CHT). Ms. White has been drawn to a career in healthcare from a very young age, as she has always had a passion for, and commitment to helping others. She considered many options within the healthcare industry before deciding on Occupational Therapy and the perfect fit for her. She valued the direct interactions with a wide variety of clients to facilitate their rehabilitation goals, and provide them with helpful tools to support these goals. Ms. White received her Bachelor of Science in Occupational Therapy from the University of Manitoba, Canada in 1996. Since then, she has also become a Certified Hand Therapist (CHT), which is now her primary area of expertise. 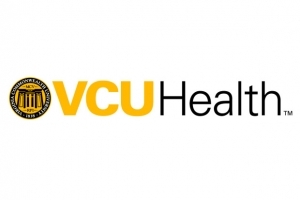 The Virginia Commonwealth University (VCU) Health System, where Ms. White has worked for 16+ years, is a Level 1 Trauma Center and a facility dedicated to the education of future healthcare professionals, promoting cutting-edge research and applying that research in the clinical setting to ensure best practice in patient care. The center specializes in many different areas of physical and mental health including cancer care, transplants, neurosciences, orthopaedics, plastic and reconstructive surgery and much more. Ms. White’s responsibilities include caring for both outpatients and inpatients, who predominantly have injuries and conditions of the upper extremity. These include, but are not limited to fractures, tendon injuries, burns, repetitive motion disorders, arthritis and industrial injuries. Ms. White is involved in all aspects of patient care including initial evaluations, treatment and discharge planning. Ms. White’s expertise is demonstrated through her extensive list of professional accomplishments throughout her career. Ms. White’s career has taken her from her start as a “traveling” occupational therapist in Skilled Nursing Facilities in Indiana to her role as the Director of the Occupational Therapy Department in a community hospital in rural North Carolina, to her current role as a Level IV clinician at the VCU Health System in Virginia. Some of her career highlights have included various speaking, writing, teaching and research opportunities. Ms. White has taught as a clinical faculty member at the VCU School of Occupational Therapy for the past 8 years. She was involved in the creation and modification of several courses, which include Amputation and Prosthetics, Arthritis and Connective Tissue Disease, Orthotic Intervention and Evaluation and Treatment of Upper Extremity Injuries. Ms. White’s membership in the Hand Therapy Certification Commission is a testament to her knowledge of this field. Ms. White has also presented in Las Vegas in 2015 at the ‘Wild on Wounds’ Conference. At this prestigious event, Ms. White compiled a poster presentation on an innovative Polymeric Membrane dressing. In addition, Ms. White is at the forefront of innovation as she participates as a clinical investigator for a Multicenter, Prospective, Randomized Study comparing recovery outcomes of Nerve Cuffs and Nerve Grafts from June, 2015 to present. In 2010 Ms. White was a part of ‘A prospective study on the initial results of a low profile ulna shortening osteotomy system’. Both of these clearly demonstrate the devotion Ms. White has to her field. Ms. White attributes her successes in this field to the perfect alignment of both her personal desire to help others and her professional passion to continue learning and educating others. When she is not working, Ms. White enjoys gardening, working in her yard, spending time with family and traveling the world. Her travels have taken her on adventures in Egypt, Europe, Canada, Costa Rica, Peru and Colombia. She loves visiting her parents in Canada and her sister in California. Ms. White is currently in the process of joining the Dogs on Call program at VCU with her beloved Goldendoodle, Molly. Looking to the future, Ms. White wants to continue caring for others as well as sharing her vast knowledge with future healthcare professionals as well as junior colleagues. She wants to expand her network even further to both share her expertise and further develop her own knowledge. 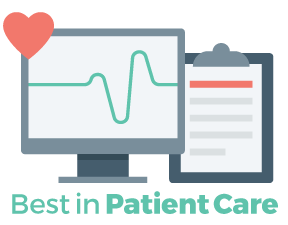 At VCU Health, they work hard to improve the lives of their patients – both those they care for today and those that will benefit from their research advances tomorrow.